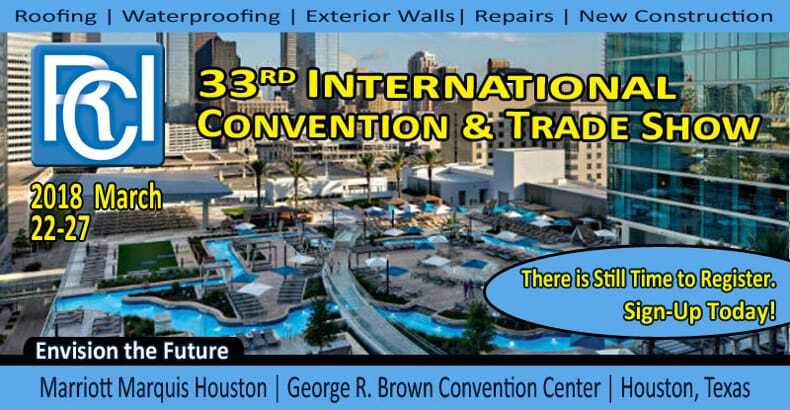 The 2018 RCI International Convention & Trade Show will be held in Houston, TX at the Marriott Marquis Houston and George R. Brown Convention Center. The convention kicks off Friday, March 23rd and the trade show runs Saturday, March 24th from 3:15 – 7:15 p.m. and Sunday, March 25th from 8:45 a.m. – noon. FiberTite will exhibit again this year. 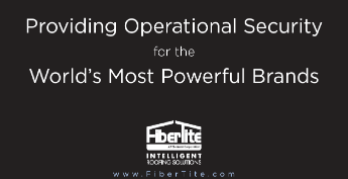 Stop by booth #623 and learn how our 36 mil membrane provides operational security to the world’s most powerful brands. While you’re there be sure to enter our giveaway! We’ll be giving away a Fitbit Blaze Smart fitness watch on the first day and a Ring Video Doorbell the second day. In addition to the 130 manufacturers exhibiting roofing, waterproofing and exterior wall products, RCI offers over 25 hours of educational seminars and product demonstrations. An opening reception Friday night gives attendees the opportunity to get together and meet long-time members and members of the RCI Board of Directors. On Saturday, the opening ceremony starts at 1:30 p.m. Gary Heil, an internationally acclaimed expert in the fields of leadership, management and organizational culture, will be the guest speaker. The convention continues through Monday, March 26 with the annual meeting luncheon in the afternoon and the President’s reception and annual banquet in the evening. Learn more about the 2018 RCI Convention & Trade Show and register today!